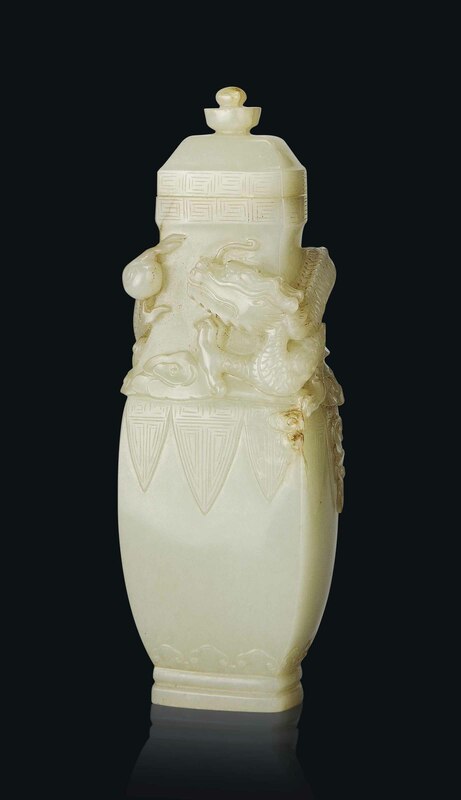 The vase of rectangular section is incised with a key-fret border to the rim, a band of lappets to the shoulder, and a band of ruyi heads by the foot. A scaly dragon is carved coiling around the sides and chasing a flaming pearl amongst clouds. The cover is decorated with key-fret border. The stone is of a celadon tone with russet inclusions.